00:44 - What Does it Take to Win Five Consecutive Gold Medals at the Olympics? Steve - Rowing is an endurance based sport. If you don't have the lung capacity, the VO2 uptake, transferring oxygen that goes into red blood cells to feed the muscles from that point of view, you're not going to be very efficient in that way. So the science behind is becomes immense: Training, preparation and monitoring, trying to improve levels all the time. When I started back in the '70s, there was none of this. Meera - How important has scientific understanding or the science and the scientific tests been in your development, both in training you as the rower, but also how important it is today in the current team and their training? Steve - I think it's been hugely important in my background. Since I've retired, it's moved on from that point of view, but in sport, everyone seems to get faster all the time. They may not get faster every time they go out or within a year, or even an Olympiad with a 4-year cycle. But over a period of time, times get quicker, athletes get quicker. So you got to use every aspect of diet, training etc. The science behind it all plays a part of being a better and faster athlete than we were before. Athletes now, 12 years on from I started, are performing faster times than when I did. Well, is that because they're better sporting specimens? Maybe. But maybe the science behind of what they're doing has become more sleek and improved from that point of view. I think there is still a lot of psychological training that could be done. I think our minds are probably the weakest element of our body, so it's not always just about training the muscles. It's about training the mind to cope with the different aspects of training and knowledge that's coming in so we're always going to get faster. Meera - And what do you think your best traits are that made you an Olympic medal winning rower? Steve - I think in the early days, I had a physique that really suited the rowing at that time. Matthew [Pinsent] ended up being a better specimen than me within the sport, but I became mentally tougher. You can't just think it's all about science, or it's all about training, or it's all about the mental side of it. It's a percentage of all of it. And to be a great athlete, you got to be able to take all those aspects on. 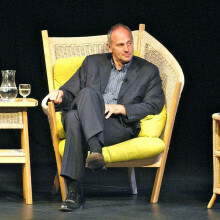 Meera - That was 5-time Olympic gold medallist, Sir Steve Redgrave. Chris - The typical things that we measure are things like heart rates, energy expenditure, the amount of oxygen that one uses during exercise, and lactate production, that kind of thing, to monitor physiological status, physical fitness, and then that can feed back into training to help improve performance. Meera - So people generally know that things like your recovery rate, so how well your heart rate perhaps recovers to normal after exercise, can be a good indicator of fitness. But what's the step up for elite sport? What are the type of things you have to monitor there? Chris - If you talk about endurance running in particular, one of the things that will be measured is something called running economy or running efficiency. That is the amount of oxygen that one uses during a particular running speed, and that's really nice for tracking change before and after a training programme, before and after altitude acclimatisation for example. Other things, like something we call 'critical velocity' or 'critical power', that's the speed or the maximum speed or power that one can maintain indefinitely, have been shown to be quite good predictors of particularly endurance performance. Other markers such as VO2 max which is the aerobic capacity, the maximum amount of oxygen you can consume in a single minute, had been shown to be reasonable predictors in performance but less so than things like critical velocity. In other sports, such as rowing, they'll look at things like the maximal power that can be generated. Meera - So training needs to be quite homed in on what a particular athlete is training in to really advance them to the elite level? Chris - Yes, absolutely. The sports scientists, the coaches and nutrition staff tailor their programme specifically for those athletes in the different sports. 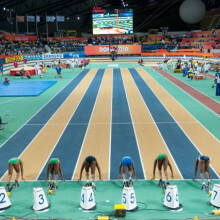 Meera - Everybody at London 2012 is going to have their eyes firmly placed on Usain Bolt. What is someone like his training schedule going to be to get him going as fast as possible? Chris - They tend to keep these things fairly secretive, but they'll be looking at things like the biomechanical assessment of his gait, the forces that he can produce, particularly out of the blocks, his reaction time and of course, the things that he'll be working on predominantly will be strength and speed. 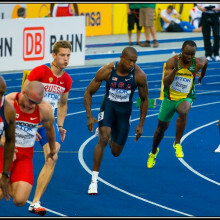 Those are the two primary factors that will determine how fast that one could run 100 meters. Meera - And comparing sprinting to other sports, could you give some examples of sports that would have very different physiological factors monitored? Chris - Three good examples to compare will be something like running the marathon; in which world records are just over 2 hours for males, rowing; in which the time to complete the 2,000-meter track will be somewhere between 360-240 seconds. In weightlifting, which only requires 1 to 2 seconds maximal effort. So, if you look at the endurance sports, the things that will be monitored and measured there will very much focus on the cardiovascular system, the aerobic energy systems, the VO2 max, critical velocity, and something called the maximal lactic steady state, and lactic threshold measurements as well. Whereas things like the rowing will look more at the maximum power that one can generate. At weightlifting, they look at measurements of strength and of course, the amount of mass they have in comparison to fat. So that's the lean muscle mass. Those prompters will be fundamental in lifting heavy weights. Meera - So with the things like lactate for endurance sports, this is something you don't want to build up because it could hinder performance? Chris - Well, that is a little bit of a myth and in fact, lactate can be positive thing. Lactate is formed from glucose which breaks down to something called pyruvate and then is broken down further into lactate and that lactate can actually go in the reverse direction. So that lactate can actually be used to generate substrate for exercise metabolism. The thing that may have a negative impact is the hydrogen ions, the acid component that's produced along with the lactate - increased production of hydrogen ions, of acid, can reduce the efficiency of the muscle contractions. Meera - How would this be monitored and tweaked to improve performance? Chris - Well, one of the things you can measure is something called the lactate threshold and that is basically the point at which lactate begins to build up in the blood. And what you're using lactate for is really a marker of the increase in hydrogen ions. It's just that lactate is easier to measure. You can measure it using portable systems taking a very small amount of capillary blood and additionally, we can also get an idea of the lactate threshold simply by measuring your expired air during exercise. So, one of the consequences of an increased production of hydrogen ions is that the body's response to that is to produce something called sodium bicarbonate and that then goes through a reaction that, in the end, produces water and carbon dioxide. So when we pick up that increase production of carbon dioxide, we know that that is going to be close to the point of what we call lactate threshold. Meera - Is this threshold something that can be moved? Chris - Absolutely, yes. So, one of the common responses to a training programme is that you shift the lactate threshold to the right. 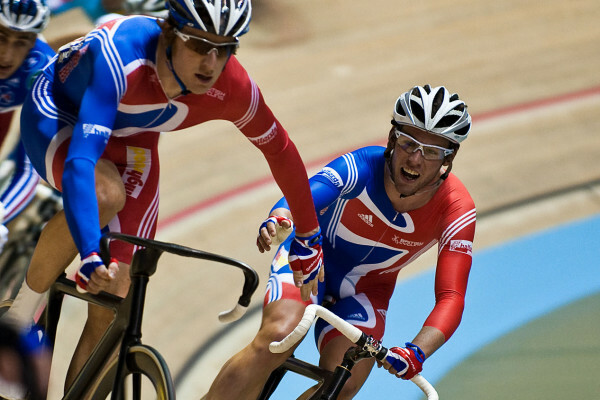 What that means is that the lactate threshold occurs at higher running speeds or higher cycling power, and clearly, that's going to be beneficial to the athlete because obviously, they can then maintain a higher speed or higher power before that build-up of lactate and hydrogen ions. Meera - Chris Easton from Kingston University who we'll be hearing from again later in the programme when we visit his lab to see just how an athlete's physiology is monitored. with Dr. Steve Ingham, English Institute of Sport; Katie Skelton, Team GB sychronised swimming; Pam Relph, Team GB Rowing. Steve - My name is Dr. Steve Ingham. I'm the Head of Physiology at the English Institute of Sport. As an applied sport scientist, it's our job to bridge fundamental research with the coach and athlete's day-to-day practice and training to try and individualise that physiological concept so that it can work for them. So that it can improve their physiological capabilities run faster, be stronger and so on. Meera - Is there any particular point during an athlete's training or any particular part of a training programme that's really been influenced by scientific input? Steve - There's lots of ideas that make sense, but a coach might not like it. So you bring something new forward and it feels like innovation. It feels like change. A probably good example of that for us recently has been changing the warm up just prior to a competition and athletes and coaches are quite protective around that because they don't really want to go messing around with different types of fancy warm ups. "Yeah, I get this idea now. Let's try it out in training and progress that through to a minor competition, and then into a big competition." See the performance data and then that should speak for itself. Meera - Did it make a particularly big difference? Steve - The performance gain of about 1% difference, to a runner for example that's 5 meters or so, it's a lot and they don't have to work particularly hard to achieve it and it works in the right direction. Meera - So all of this knowledge and this scientific input, how big a role does that play today, and should it play as big a role as it is? Steve - If a coach or an athlete trains or prepares in a certain way that's based on just superstition or habit, that doesn't really cut it in this day and age. You have got to have good evidence as to why you're doing a certain thing. We've got to get smarter about improving our performance standards because other countries are; they're benefitting from scientific input and reducing the probability that they're going to fail. Perhaps on a flip side, maximising or optimising their chance at achieving. So I think it's great investment. Some of the discoveries and breakthroughs can also echo down to the scientific and exercise literature. Also hopefully, it will lead to more success. Meera - The athletes using this training and testing methods are certainly hoping these methods bring success. Katie - Hi. I'm Katie Skelton. I'm 24 and I'm part of the Great Britain synchronised swimming team. Synchronised swimming is built up of many different things. For example, it's like dancing in the water, so you need to be able to move to music well. You need to be very flexible so we do a lot of stretching in that area. We also need to be really fit and strong. So, we work a lot in the gym doing weights and a lot of fitness. We do a lot of speed swimming like swimming up and down. So there's loads of components to make you a good synchronised swimmer. Meera - What about your actual knowledge of how your body works? Katie - Physiology has helped us with learning about our body over the years. For example, we do the VO2 max test. This is really important because we need to be fit to be able to swim our routine. We also do lactate testing which is really useful for us to do when we're training and they've also done it when we're at the Europeans to see whether the intensity and the lactic acid is the same during training and competing to see whether there's any difference. They've also done it on other teams as well to see the variables within the different teams and different countries, looking at what level the winners to where we are ranked, to see what the difference is to help us improve. Meera - And have you found that quite useful? Has it led to improvements in your performance? Katie - Yes, because you realise when it is best to do some physical training, when it's best to go easier. They know when we're going to really build up lactic acid and is the routine hard enough because they will need to be able to reach a certain lactate point. So it's really helped us improve. Meera - And also seeing a difference are the team GB adaptive rowers. Pam - Hi. My name is Pam Relph and I'm in the legs, trunks and arms mixed cox four. That's a boat with two men, two women and a cox that we row over 1,000 meters. Rowing is an endurance sport so I wouldn't say that I was the most powerful of athletes, but when it all gets hard, I just keep going. I have long arms, long legs and being quite tall I think is probably the best physical traits that you need. Meera - Do you work with physiologists to really get an insight into what's going on inside your body whilst your training? Pam - Yes, so we get lactate tested during endurance training. We have a testing called skinfold testing which is essentially measuring how much body fat you have on your body. So for example if I was to put on weight, but my skinfold number was to go down then that would mean that the weight I've put on has been muscle mass rather than fat which is obviously good to have a lot more muscle if you want to be a professional athlete. 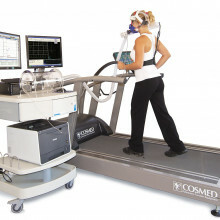 Another test that we can do is a VO2 max test. Meera - So there's really a lot tested. You're getting blood samples and so on out whilst you're rowing but you are also tested in the lab. Pam - Yeah, we're tested in the lab and we're also tested when we're on camp to make sure that we're hydrated. We have to do urine tests every single morning to make sure that we're fully hydrated and that's quite useful to see because I think it's a 1% drop in hydration equals a 5% drop in aerobic fitness or something along those lines. I think that having information available to you in sport is necessarily essential. I think that if you do the training, your body is going to get fitter but I think it gives you really an idea and an insight into what your body is capable of and what stresses you can put your body under before it breaks. Meera - Pam Relph and before her, Victoria Skelton from team GB, and before them, Steve Ingham, Head of Physiology at the English Institute of Sport. Chris - We do most of our performance testing in here for University action consultancy work and for teaching as well, and obviously for runners, we'd use the treadmills for those performance tests. Meera - So, this particular treadmill, it doesn't look like the average one at the gym. So, it's got much bigger screen, a variety of settings and two computer screens next to it. Chris - Yeah, that's right. 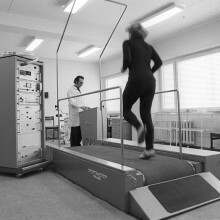 So, this is a treadmill that we can use for incremental exercise tests. We can very quickly change the speed and the gradients, and what we have alongside is a metabolic analyser, a device that will allow us to measure your expired air to see how much oxygen you're using and your energy expenditure during exercise. Meera - Initially, it looks like just a box with a variety of wires coming out. How would you actually measure that on someone? Chris - What we do is we will attach a face mask to you and we'll actually attach you to the system as it were. So, the wires will be connected to your face mask, we'll measure the concentration of oxygen and carbon dioxide, your expired air, and also your breathing rates as well, so how much air you're actually breathing out with each breath. Meera - How fast does this treadmill actually go? And is that representative of how fast an endurance runner would run? Chris - This treadmill only goes up to 20 kilometres an hour and our other treadmill goes up to 40 kilometres an hour. But to give you an example, this one wouldn't even be able to go up to the speed of the world record marathon pace, which is run close to 21 kilometres per hour. I think if we took even most fairly fit individuals off the street, they'd be lucky to maintain that pace for more than a few seconds. Meera - Chris, I've got my trainers on. I'm going to have an initial go anyway. So what other kinds of things you would expose someone to? So I'm just getting on now. Chris - So what we do is we do an incremental exercise test. We'd start you off at fairly low 8 kilometres an hour or so, and then we'll increase either the speed or the gradient to the point where you can't keep up with the speed of the treadmill. Meera - Okay, so we're not getting to that. You're going to put it on the initial 8 kilometres an hour. Chris - That's right. We'll just do the very initial stages of the test, collect some of your measurements and we can see how they are. Just to warn you that the speed does start fairly suddenly so be prepared for the treadmill to start. Meera - Okay, you're right. So, I've got a heart rate monitor on at the moment already but as well as this, you want to look at what's going in and out of my breath. Chris - That's right so we'll measure how much oxygen you're using, how much carbon dioxide you're producing, as well as your breath, your ventilation rate as well. Meera - It's actually quite fast paced walk. Chris - Yes, I'd probably see it as a light jog as opposed to a walk. There you go, maybe more comfortable too. Meera - Actually, that's better. Okay, so I have the face mask on now. It's very tight. In fact, when I breathe out no air is leaking out. Chris - Yes, that's great. So it means we've got complete seal. So, all the air that you're breathing out will be assessed by the analyser. Meera - ...Wasn't too laughable. Okay, so the face mask is off but now, you need a blood sample. Chris - That's right. So what we'll do is we'll collect a very, very small sample of capillary blood and we'll assess that for lactic concentration. Meera - So, my fingers you need? Meera - You're squeezing my blood out of my finger now. Meera - So this is essentially like a little box, the size of maybe two matchboxes together with a small strip sticking out which is what you put my blood onto. Chris - That's right, yes. So, really good because it allows us to do a lot of these measurements in the field. So, at side of the track, at the swimming pool, and in athlete's natural environment as opposed to having to ask them to come into the lab and do these things on the treadmill. Meera - So while still waiting for the results of my blood test, you've got a variety of statistics about my performance just at this basic level already there. So, is this I'm assuming from my face mask and so on? Chris - That's right. So we took some very basic measurements and looking firstly how much oxygen you're using every minute, and that's telling that you're using 2.2 litres of oxygen for every minute of exercise and to put that in a slightly different way, you were using 32 milligrams of oxygen for every kilogram of your body mass. So that's nice because it allows us to compare between people of different body sizes. Meera - And how would that compare say, to an athlete? Chris - An elite athlete, you'd expect their oxygen consumption would actually lower because they're more efficient so they would require less oxygen, less energy, to produce the same running speed. Meera - So, how much lower would this be? Chris - I mean, it's difficult to say for sure depending on the athletes, but you might expect theirs to be somewhere maybe at 20 milligrams per kilogram per hour or so. Meera - And you have some other figures noted down there. What are these? So something is 0.74. Meera - It's a good thing? Chris - Yes and that's what you'd expect. As the intensity is low, you use more fats. As you progressively increase the intensity, you use more carbohydrate and consequently, you increase this respiratory exchange ratio. Meera - And so, I think my blood tests now are ready. Chris - Yes, so measured the lactic concentration in your blood and it gave us a value of 1.8 millimoles per litre, so that's 1.8 millimoles of lactate per litre of blood and that's very, very slightly raised from resting values. But certainly indicates that the intensity of exercise that you did there was below your lactic threshold. So we haven't seen that large rise in lactate that we'd expect to occur after lactate threshold. Meera - And so, if somebody now walks in through the door that's a good athlete. What do you need to do all in all to get them to hopefully be an elite athlete? Chris - The question is almost impossible to answer. I mean, it's only such a small percentage ever actually make it to that elite level. As physiologists, we can contribute to that in some way by measuring some of these parameters during exercise, but ultimately, there are so many other factors from psychology and genetics that will contribute to whether somebody truly does make an elite athlete. If there was one training programme that could made everyone great then you'd have millions of elite athletes then and of course, that's not the reality. Meera - Unfortunately, although I was reasonably fit, Chris didn't see much hope of me being a GB representative at Rio 2016. That was Chris Easton from Kingston University. The buzz and thrill of the sporting event can provide a real adrenaline rush when it's an athlete's time to perform. But with thousands of eyes directly on them and many billions more on television screens around the world, performance becomes about mind as well as body. And when your mind gets stage fright, things can go horridly wrong. Thankfully, sport psychologist are on hand to help as Naked Scientist Ben Valsler found out talking to Dave Collins from the University of Central Lancashire. Dave - To be honest, I think that the psychology is the absolute paramount issue. It's the paramount issue because generally, when you get to the top level, most people are as fit as each other, most people are as committed to each other. Once you get into the modern systems of institutes and academies around the world, they are well advised on nutrition, they're well serviced on technique, they've got similar equipment. What now makes the difference is what's going on between their ears as they train so the time that they spend in preparation and of course then on the day of execution. The other thing to recognise is that all those other disciplines have knock-ons into the mental side so that what sort of training I'm doing and whether I perceive it's the right sort of training or not will actually determine in no small part its effects. And if I'm confident that if I'm eating the right things and doing the right things, then that's likely to have a psychological knock-on as well. Ben - So, we think of sport psychology as being about getting "in the zone", psyching yourself out, just before the race or whatever event it is that you're taking part in, but clearly, it actually starts a lot earlier than that. Dave - It's almost like if you're going to the competition and you're very, very confident in the level of your preparation, you're very, very confident that no stone has been left unturned then probably, getting yourself into the zone and psyching yourself up for the day, is something that you don't need to do. You know, if all of a sudden things haven't gone as well then that's when you need to get there. Ben - So, you've mentioned confidence a couple of times there, what are the tricks? What are the psychological states that we need to get athletes into? Dave - It's easier to quickly describe what might get in the way. Let's say you're a tennis player. You shouldn't need to think about how you execute a forehand top spin. You shouldn't need to think about what sorts of things you're going to do. You might need to plan your tactics and spot what's going on. So, there's a level of consciousness and unconsciousness that needs to apply to your techniques. Execute techniques unconsciously, think carefully about the skills and the tactics that you want to apply, and it's where that cut off line goes and therefore, how effective you are at deploying the tools that you developed which is a big factor. Now the confidence comes in when all of a sudden little doubts creep in to your ability to be able to execute - maybe under these circumstances, maybe against this particular player, maybe it's the last jump in your sequence of six and you've got to hit it to win the medal or not, and that's when the manipulations that you described earlier come in - the manipulations of trying to get someone to be in the zone, to think about being in the zone. Ben - And what sorts of changes do we see physiologically in response to this psychological difference because presumably, there must be changes in order to enable people to perform better? Dave - The mind is linked to the rest of the body and it's something that's often overlooked. So, when someone's executing well, just in a qualitative sense, if you watch their performance, we will use words like, they seem to have a lot of time or things seem to happen quite smoothly and quite easily for them. There is an effortlessness to a peak performance that is about executing the exact muscles in the exact ways, and the exact sequence with exactly the level of force you need and no more. Now if I would contrast that with most people learning how to do skills, for example a learner skier would be very, very stiff, very, very jerky, movements are very hard, furrowed brow of concentration as opposed to a top class skier which would be very smooth, very flowing, low effort, enjoyable. Those are the sorts of technical differences that anybody can see that show that someone is executing to the plan because the conscious control is grosser, cruder and less finely tuned than the unconscious control. So when you superimpose conscious control on a move that you can do quite well unconsciously, what tends to happen is that part of the movement is exaggerated, over done or the timing goes out and as a result, the whole suffers. Ben - And how can we actually start to evaluate this in a more quantitative way? What are the tricks that we can use to gather evidence about the best approaches or is it always going to be a qualitative thing where one approach is best for one person and another approach for someone else? Dave - It is always going to be individual because what people are doing and how they are thinking and what sorts of things are happening to them is very individual. For example, the received wisdom in target shooting is that most people will pull the trigger or release the arrow in what's called the interbeat interval, the pause between the bump, bump that you get from your heart, the reason being, there's less tremor in the body. So, if you were to turn out with that sort of received wisdom, what you would do is to train people to become aware of whether heart beat was and say, what I want you to do is to squeeze the trigger, is to release the arrow in the interbeat interval. Research we've done shows that five out of the six top pistol shots in the country actually squeeze the trigger on the beat. So, all of a sudden, what received wisdom and then lots of science actually shows doesn't necessarily apply to an individual. Therefore, you have to make sure it's individualised. Ben - We've heard a lot about the new technologies that people use, very high speed footage for example. Are there any technologies that you can learn from all that you can use to help people learn a bit more about their psychological state? David - I think it's very useful to be able to quantify this mystical, "in the zone" type experience. So, my own work with athletes, I've used electroencephalography, I've attached electrodes to people's skulls, measuring what's going on, and able to point to them that, "Okay, you're going to execute better in this sort of state." What that feels like to you is a very focused but unaware of what's going on on the outside type of situation. Now that would be very appropriate for a weightlifter, for a shot-putter, for someone who's executing what we call a closed skill, a skill where they're in complete control of what's happening. They don't have to react to an opponent. You might measure electromyography. You might stick electrodes onto their muscles to see which muscles are firing in what sequence, in what way. You certainly would use 3-dimensional analysis of their movement what's called kinematics to look at again the sort of the patterns of movement that they execute and also, to actually show them that when they're in the zone, this is what's happening and that actually, they're moving faster for possibly less muscular effort. And that helps them to acquire the skill necessary to put themselves there and keep themselves there when the pressure is on. Guang-Zhong - Traditionally for sports science, the performance measurement is done in the laboratory setting and this laboratory setting typically involve large equipment and big markers attached to the body. For general sports science this is fine in terms of understanding how the body functions, but for elite athletes, you want something that is small and non-intrusive, to figure out ways of how to improve the consistency and also competitive advantage of the athletes. Meera - So there are two benefits; you're getting people out of the lab and into a real setting so you can actually see how they would perform, and you're also trying to be as unobtrusive as possible. Guang-Zhong - That's correct, yes. Meera - So we're in the Science Museum at the moment where you've just launched a temporary exhibition in their antenna section. And we've got one of your sensors here just in front of us and it looks just like a hearing aid but a bright blue one. Guang-Zhong - That's right. This particular sensor is called an ear-worn activity recognition sensor. Now let me ask you. If I want to detect a problem with your ankle or your knee, or the way how you walk or run, where would you position your sensor? Meera - I'm thinking around the ankle or the joints there, but this one won't go there. Guang-Zhong - That's right. Yeah, so this sensor is put behind the ear and is exactly to measure that. Think for a moment how our human body actually controls balance and motion. Where are our sensors positioned? Meera - In the ear because essentially, that's where balance is controlled, isn't it? Guang-Zhong - That's right. In the inner ear, you have semi-circular canals to control the balance and so on. And so, our design is very much a replication of bio-design. It will use the sensor put behind the ear and monitor your gait - which is how you walk or how you run; and also other motion factors or indices. So if you have a problem with your ankle or your knee, you actually would try to compensate for that and to alleviate the pain, and therefore this changes your gait. And you use this to be able to pick up these signs. Meera - If I had this ear sensor on right now and I'm walking along just in a straight line, what can you monitor about me in this moment? Guang-Zhong - So this will measure what we call ground reaction force. So when you walk, you have the heel strike, then you transfer the body weight, then you have the toe-off and then you swing, and so on. And with this, you can actually see this wave form in two peaks as you see here. Typically, if you have to measure this in the laboratory, you either use a pressure insole, i.e. a sensor put in your shoes, or you use force plates which tend to be expensive. And the advantage here is that you can do this in the free-living environment. Meera - Is it mainly this kind of movement, so things like gait, or are there other factors being monitored too? Guang-Zhong - It can also be used for monitoring your body trunk motion. So the general posture. Of course then when you add more sensors onto your body, you can actually recreate all your arm movements and also all the detail postures, almost like what you do for animation. The thing here is that you can see the evolution of those sensors that we have made over the last 3, 4 years. It did really has shrunk by 500 times. You see the little sensor towards the right which is the size of your small finger nail. Meera - Yes, just less than a centimetre squared. Guang-Zhong - That's right. It will measure all those things. It's got wireless transmission and also, it has on-board processing and also can interface with other sensors as well. Meera - How does the sensor work? It's on my ear and it's got this chip inside, monitoring so many things, but how does it monitor all of this? Guang-Zhong - This one that has got a very simple sensor, a 3-axis accelerometer. So, it's a sensor that will measure both your static and also dynamic inertia; your orientation with regard to the gravity when you're static. Also, when you're moving, you may have acceleration. It will simply impose that with the gravity. So, it's a combination of both, what we called the static and also dynamic inertia. With this, then you can induce motion formation say for instance. If you integrate that, it will give you the velocity information and if you dare to integrate again, it would give you the position and so on. Meera - I imagine that this is particularly useful for sports where people are moving just their body, and things like gait and speed perhaps are important, so runners? Guang-Zhong - For runners, absolutely, also for others as well - cycling, and other sports, rowing and so on. It has many applications. Guang-Zhong - But as well as the ear sensor, you are developing a sensor network. So, next to this one, there is a really clear patch with a distinct chip in the middle of it. Guang-Zhong - That's right. This particular sensor is to measure biochemical information. In this case, the lactate from the sweat as a surrogate marker to look at muscle exertion and so on. Meera - So lactate is something that people produce I guess as they do a lot of exercise and this is a way to monitor how much they're producing. Guang-Zhong - That's right. You see the by-product it generates. Meera - Is sweat quite a good, accurate kind of summary of how much lactate someone makes? Guang-Zhong - In true fact, it's not, because sweat can be contaminated by a lot of other things in terms of biochemical content, the pH, lactate and so on. But this is a very convenient way of getting the biochemical information. Of course, drawing blood is not something that you want to do for athletes regularly. Meera - Will there be eventually a variety of sensors? It's mentioned that the Esprit project will be looking at a range of sports and a range of types of factors in sports, so as well as someone's speed or gait, things like wheelchair motion or rugby collisions? Guang-Zhong - Absolutely. We have developed a very small sensor that can be used for tracking a wheelchair: Clip it on to the axle, look at the training power output, and also its position in the court. And all this information is very helpful in terms of looking at the force exertion as well as, potentially, the tactics by the athletes. You can integrate the sensor as a patch to be worn on the body or into the garment, or into a helmet. Meera - With these sensors, have they been trialled on any athletes and have you seen the way that they can benefit training? Guang-Zhong - Yeah, we are using this for a range of training exercise and things. Really, the benefit is that you get the real-time information and also, you get quantitative information. The sensors itself would not be able to make a medallist because it is really the work of the athletes, the coaches, and all the support team. What we are contributing here is really one small facet of the entire training regime to help to maintain the competitive advantage. Meera - Professor Guang-Zhong Yang from Imperial College London. Meera - When it comes to technology and the use of technology in sports, there's one sporting event that's miles ahead. In fact, so far ahead, it's lapped the others many times. Formula 1. And one company pioneering developments on the race track are McLaren who in recent years have spun out McLaren applied technologies to spread their technology to other sports as well. I visited their headquarters in Surrey in the UK and met Programme Director Caroline Hargrove to get up to speed. Caroline - Well, welcome to the McLaren technology centre. We're just about to enter our boulevard that is also showcasing some of our old winning cars. Meera - Before us is an array of a range of McLaren cars. 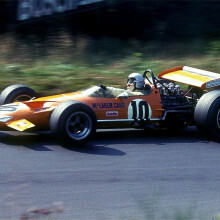 Caroline - We start with the very first Bruce McLaren winning car that he used at the age of 15 and he rebuilt. It's an old Austin 7 and it sets the tone to show how motor racing has changed over the last 40 years. Meera - Very different. It's gone from very much a big box-like shape to a very sleek, much closer to the ground, much wider. Caroline - And just even one look through our boulevard will show how aerodynamics have changed over the last 20 years. Meera - How big a part does science, technology and engineering play in F1? Caroline - It's all about science and technology from every nut and bolt, to the driver, what they eat, what they do as fitness programmes. Everything is monitored in detail because actually, each team is quite large for two drivers when you think about it. And it's mainly largely mechanics and engineers who are obsessed with the detail because it's about the detail. Meera - There are many aspects to Formula One - there's the materials you use to make the cars, there's the design of the cars, there's monitoring the movements and speeds of the cars and actually then also monitoring the driver inside. Caroline - Every single aspect must be done very carefully. So, I'd say it's well-known in Formula One that carbon fibre has been transformational and it has been pushed to different limits through what Formula One has done. And of course, the aerodynamics - huge amounts of time and effort spent in wind tunnels, especially in CFD which means computational fluid dynamics. So lot of computational power is now available and makes that possible. And then of course, what you learn from that gets into the design and the best suspension to cope with all of that. And then of course, the driver has to drive this. So, the systems, the operational systems, the data, the telemetry to monitor what's happening is quite a wide range of tasks that need to happen to make a car driving, and winning, a championship at the other end. Meera - Walking down the boulevard, you've got a range of cars as they've developed over the years here at McLaren. So let's just stop by this one here. We've reached the more modern cars, there's a range here stemming from 2007 onwards. These are looking very different. What have been the main developments to this car in terms of material and design? Caroline - Well interestingly, by the time that we're in this era, it's aerodynamics that is overwhelmingly different. At the moment for example, we've got movable rear wings. There are areas where the drivers are allowed to move their rear wing in order to reduce the drag that it provides. Now you want the rear wing when you break so that it gives you the down force, but when you're going in a straight line, it brings you drag. So there's a drag reduction system, DRS, that when you press your button, it changes the wing angle. It gives you no drag or very little drag, so you're getting faster straight line speed, but then you flip it back up again when you want to break and you need a down force. The key is the complexity of the steering wheel. Meera - There's a lot of buttons in there from what I can see. Meera - They're at least 15 or so. Caroline - Absolutely. Some are rotary switches, some are buttons. Of course there are things like a drink button. All the others will affect say, break balance or different engine modes, or different differential modes, and these are very important these days because the cars can't refuel during a race so you start very heavy, and you're going to finish very light. That changes enormously the characteristics and the balance of the car so you need to be able to prepare for it. But the drivers have got to cope with that as well as coping with their driving. Caroline - Completely and all of this fighting off opposition coming to overtake them and vice versa. Meera - And just lastly, at the end of the Boulevard here, you've got something very different to a car, although actually not that different technically. We've got a very slick-looking bicycle here. Caroline - McLaren Applied Technologies has been setup to exploit some of the Formula One technology that's come out into other areas and it makes sense for bicycles. People see it but it was great fun to come up with a project that applied principles of finite element analysis, the use of the materials, so the carbon fibre in a certain way in order to provide this edge of performance on a bicycle. Meera - And you've actually seen quite good results with the bikes to date. Caroline - Absolutely. We were very lucky to have Mark Cavendish as one of the specialised riders last year and the very first race of this bike came out, the San Remo Race was won by Matt Goss on this bike which was lovely! Duncan - Telemetry is all about the collection of data and taking information from a piece of equipment through to delivering that to an engineer so he can understand what's going on. In the Formula One world, that would be how the engine is performing, or the tires are performing during a race, and then maybe altering our strategy accordingly to do that. So, a lot of things that we do on a Formula One car, we can do on our say, a bike or an athlete. So, in load conditions, the forces that are put through certain materials and from that, we're able to then see how well the material is performing with those loads and then maybe make a choice on the geometry around that or the material choice itself to make that even more efficient. Meera - How is the information actually collected? So you are monitoring what speeds and potentially even things about the driver or athlete themselves, and how is that done? Duncan - When it comes to the telemetry system itself, and we are standing in the workshop that we're actually do all of that kind of thing now, we have a series of high speed data loggers, typically collecting a whole range of sensory information as well as how the equipment responds and ultimately, actually how does that translate into speed. But really the key thing is actually, to interpret that data. Meera - So knowing what to actually do with the information. Duncan - Yes, indeed. Some of these systems are extremely complex and the gains are very small so you have to really dig in to quite a lot of detail to really see the insight. Meera - An example here is you've got a section of a bike - in fact, we're surrounded by bikes here - there's a box located just underneath the seat. Is this what collects everything about the cyclist and their bike? Duncan - Well yes, we can mount sensors pretty much anywhere on the body or on the bike. So what we got here is a modern-day carbon fibre racing bike. For instance, it would be really interesting for an athlete to know how the power that he's putting through the pedals results in speed at the back wheel, how the pedals transmit that to the frame, how the frame then transmits to the back wheels, but all of what happens actually in between. So, really in quite high resolution detail, what's happening in that composite structure, what's happening between the plies of the carbon fibre, are they managing the energy in the most efficient way, is the bike flexing in the correct way. If we understand that, we could then modify that structure to be even more efficient and save more of energy that the rider puts in, [ensuring the energy] makes it to the back wheel. So you can see here, if the athlete pushes down on the pedal, it results in the frame flexing and power being delivered to the rear wheel. Duncan - Well yes, it moves extremely fast for a very long period of time. So, if you're in one of the classic road races, you can be racing for 300 km so, you don't have to make many improvements to actually be quite a long way ahead at the end of the race. It's all about marginal gains. Meera - So how do you then go to the next stage of working on your designs based on the information you've managed to get? Duncan - One area which we've done that recently is in a time-trial aerodynamic helmet where previous designs have been quite based around wind tunnel straight head-on speed, and head-on wind, but actually, when we looked into it, what actually was important was how the athlete was moving his head. The real conditions out on the road and on the track are quite different to the optimum environment of a wind tunnel. And by looking at those different types of influences from the environment, we're able to change aerodynamics of the helmet to give a much, much better performance over a race distance. Meera - And is this something that's being used by the cyclist now, out on tours or in the Olympics? Duncan - Yes, so currently, the helmets are being used in the Tour de France but will make an appearance in the Olympics. Meera - And how does it really differ in terms of what was accounted for to change the aerodynamics? Duncan - So within that particular example, we identified certain areas around the sides of the helmet which significantly reduced the performance of the athlete. So with that project, we put a lot of effort into the computational fluid dynamics of the helmet and without being able to understand how that CFD or the computational fluid dynamics worked around the sides of the helmet in detail, we would never come up with the concept. So, with a lot of sports, it's marginal gains. You have to put together 2 or 3 things of innovation. That was just one on the helmet that we managed to find within that project. Meera - And this can and is being applied to quite a range of sports today. Duncan - So cycling isn't just the only thing that we're looking at. Within Applied Technologies, we look at the Winter Olympic programmes, there's sailing. In a sailboat, we have a lot of factors which can affect the performance of a boat. It's not just the equipment itself but all the exterior environmental conditions, the wave conditions, the wind conditions. The better you can understand that, the more optimal you can either sail the boat or you can design the structure to make most of the environmental conditions. So, within that industry, we're really looking to give very fast, very accurate feedback on the sailboat in order for the sailors to really tune and optimise their own equipment. Meera - So, cycling and sailing technologies to name a few, all stemming from the speed and accuracy driven world of Formula One. That was Duncan Bradley, Design Director at McLaren Applied Technologies. Jan-Anders - We kind of differ between two different type of sports: Sports where you have equipment and sports where you don't have equipment. 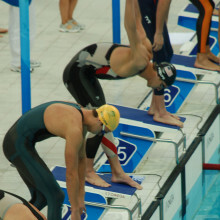 Swimming is considered as a sport where you don't have equipment, you have just dress [clothing] and that should not be a major part of the performance of the athletes. In 2008, we start to see a type of suit coming that was a polyurethane suit. There were very high forces in the suit so they could compress the body to a shape that was higher performance. It was also non-permeable, so, if you had air inside the suit, it would have difficulty coming out which could also influence the buoyancy effect. What you always want to have from a swimmer is to have a dolphin-like shape of the body and of course, when you have high compression, you can shape your body in an optimal way. Meera - Are these the traits that these new suits were introducing, affecting the swimmer's bodies in this way? Jan-Anders - Primarily it influenced the shape of the body and also the surface of the suits and the third one is also that air could be trapped between the body and the swimsuit. Meera - What is the material that was enabling these suits to perform in this way and make these changes? You mentioned it was polyurethane, but how does this enable such properties? Jan-Anders - This material is a totally tight rubber-coated textile, there was rubber material covering the whole swimsuit. Air cannot pass through it. Meera - The other difference was that the suit had a lot more material to it, so it actually covered more of the body to allow these changes. Jan-Anders - Yes, exactly. The men and the women had the same type of suit that covered from knee to shoulder in both cases. In the new rules, for men, it's knee to navel and for women, it's knee to shoulder like before. Meera - What kind of changes are these making to performance? So they're affecting the swimmer's drag in the water and also their buoyancy which must make quite a difference to their swimming performance. Jan-Anders - Yes, so those are the 3 effects. It was the drag, the floating position, and also the shape of the body. Meera - Were there any figures as to how much of a difference this could make? So say, in the championships where they were used, how much difference did we see? Jan-Anders - It's difficult to say in time, for instance depending on distance, but we saw a higher effect on shorter distances, so 50 and 100 meter, and less on long distance like 800 and 1500 meter. Following the record of evolution in many sports that have no equipment involved, we talk about a 1% improvement over 4 years, in record evolution with elite athletes. Swimming was laying around 0.8-1% over the last 50 years of performance increase. But during the last 2 years, 2008-2009, we started to see it was up to 1% over 1 year. A considerable performance increase when these suits were introduced. Meera - Why did these suits make a bigger difference in to shorter distances? Surely, even for longer distance swims, being able to move faster is still important? Jan-Anders - The suit helped the core muscles of the athletes. It could replace some of the stomach muscle to help them to keep horizontal position in the water. When you get tired and the stomach muscles get tired, you sink down with your bottom part of the body which increases the drag. The second issue is if you have air trapped under the suit, it will diffuse out for a time, but in the beginning of the race, it had more of an influence. Meera - So when they're not actually in the water for longer, it has a greater impact. Meera - Why was this suit the cut-off? We've seen changes in swimsuits used by professional athletes over many years, shark skin-based suits were incorporated and various other technologies have been used. Why was the line drawn here, the polyurethane? Jan-Anders - For the reason, it was absolutely tight and it was very, very high forces that could be introduced in the suit. It could really compress the body to even out all difference in the body shape and the air couldn't come out. It was under the suit. Meera - What's the situation now then? What kind of suit is allowed? And what limit of technology is acceptable now? Jan-Anders - The suits have to be made of a textile material. Textile material, it means when you stretch it, it open up holes in there so the air can come out. There is no plastic allowed to be put on top of the textile. They have to be thinner in thickness and that also limits some of the compression forces that you could put on the body. Meera - Is there an actual thickness that's been set? Jan-Anders - Yes. The thickness is 0.8 millimetre and the permeability of the textile has to be more than 80 litre per square metre so that how much air can get through the textile, and then there's a buoyancy requirement on the textile material as well. It can't be too light and this is done also in close discussion with the manufacturer. We have to meet with them regularly as well as with the athletes and the coaches. Meera - This year, the London 2012 Olympics will be the first Olympics then since this ban has been incorporated and introduced. What difference do you expect to see to the swimmers and their performance this year? Jan-Anders - I don't expect to see as many world records as we have maybe been used to. Just to give you an example in Rome, I think we had 26 world records, that was 2009, and the world championship in 2011 in Shanghai, we had one on the 1500-meter. So yes, it will hold back the times slightly, but this is just a matter of time until the athletes capability has regained that difference. So, I expect to see some world records but not the same amount maybe as we have seen in the previous Olympics. Previous How does the Internet work? Next Why should salt have a sell-by date?